Use these data in your applications. Buy dataset shown in table. November 2015. The what, why and benefits ... in 2014, the MSA having the highest median housing value, one measure describing the housing market/infrastructure, was the San Jose-Sunnyvale-Santa Clara, CA MSA ($735,400) (U.S. overall: $181,200, lowest ranked MSA: Brownsville-Harlingen, TX MSA $76,200). Use the table below to learn about metros of interest to you. These are the most recent data on this subject, available for all MSAs (and the U.S. and states) until September 2016, when these data update. This measure of housing value is one of 141 measures of housing characteristics available for each of these areas (see list in scroll section below). View individual metro Metropolitan Area Situation & Outlook Reports that include selected items shown in the table below integrated with other data. 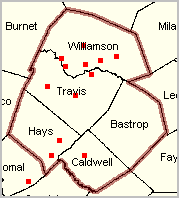 See example of the continuously updated reports for the Dallas, TX MSA. These data are bundled for interactive access only via the interactive table presented in this section; not available elsewhere. 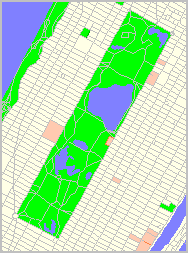 This set of data, augmented with other selected subject matter, has been integrated into shapefiles for use in GIS applications as illustrated in this section and not available elsewhere. This combination of data and analytical tools enables wide-ranging users to analyze this scope of data, optionally with other data, without the expenditure of time and learning curve to develop the data in these ready-to-use analytical structures. This section includes the U.S., all states, all MSAs, and all MISAs with 65,000 population or more. 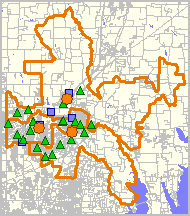 See the same scope of subject matter and structure for the 114th Congressional Districts. These data are based on the American Community Survey (ACS) 2014 1-year estimates. See notes on importance of these data. 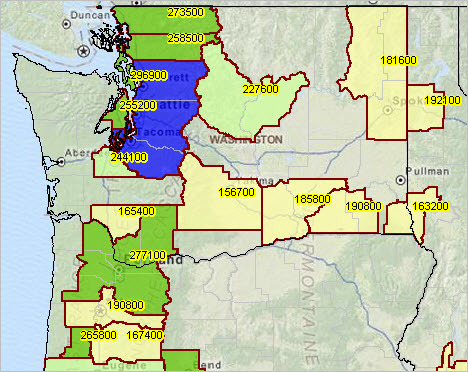 The graphic below shows median housing value by MSA for the northwest region. 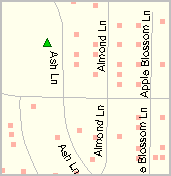 MSAs shown with bold brown boundary; labeled with item item H088 (median housing value). See color/interval patterns in highlighted layer in legend panel at left of map (in larger view). The thematic pattern shows item H088 DP4 interactive table below. Click graphic for larger view. 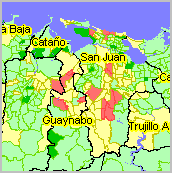 - view developed with ProximityOne CV XE GIS and related GIS project. Click column header to sort; click again to sort other direction. See more usage notes below table.  Use Find> button to select/filter based on name column. - Enter search text in edit box to right of Find> button. ... text is case sensitive; partial; names okay. - Default value of "MSA" (no quotes) will select all MSAs (381 areas). 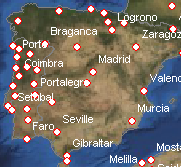 ... note if the GeoType 310 Metro is used, 508 metros are selected (both MSAs and MISAs). - Example: "San" (no quotes) will select all areas with name starting with San.  Click row (turns blue) select, then right-click to copy to clipboard. - Optionally paste in another application such as Excel.  Mouse-over header cell to view description of column. - Alternatively associate cell header item number with scroll section above table for item description. 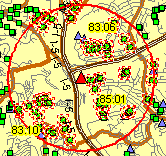  Estimates are not available for cells with -1 value (for this geography and this time frame).  All items are estimates centric to 2014.  Median gross rent is top coded at $2,001. Areas showing $2,001 are $2,000 or more.  Median housing value is top coded at $1,000,000. Areas showing $1,000,001 are $1,000,000 or more.  Click ShowAll button between specific area queries. Key in an address here to find codes/names to determine congressional district, city/place, school district, census tract, etc. 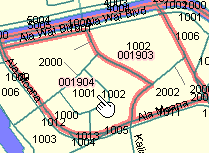 geocode/area name based on address. 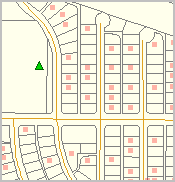 Key in an address here to view demographic-economic characteristics (and associated geographic codes) for that location (.e.g., for corresponding block group, census tract or other area containing that address). These data provide "richer" demographic-economic characteristics for national scope metros. 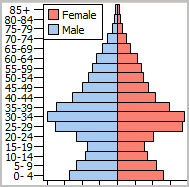 While Census 2010 provides data similar to those items in this section, only ACS 2010 and successive annual updates provide details on topics such as income and poverty, labor force and employment, housing value and costs, educational participation and attainment, language spoken at home, among many related items. The data described in this section are supplemented by a wide range of additional subject matter. ACS 2015 1-year estimates become available in September 2016. 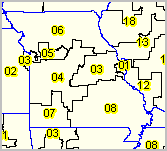 Metropolitan Statistical Areas (MSAs) and Micropolitan Statistical Areas (MISAs) are geographic entities delineated by the Office of Management and Budget (OMB) for use by Federal statistical agencies in collecting, tabulating, and publishing Federal statistics. The term "Core-Based Statistical Area" (CBSA) refer to the collective set of MSAs and MISAs. 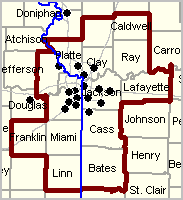 A MSA contains a core urban area of 50,000 or more population. A MISA contains an urban core of at least 10,000 (but less than 50,000) population. Each MSA or MISA consists of one or more counties and includes the counties containing the core urban area, as well as any adjacent counties that have a high degree of social and economic integration (as measured by commuting to work) with the urban core. 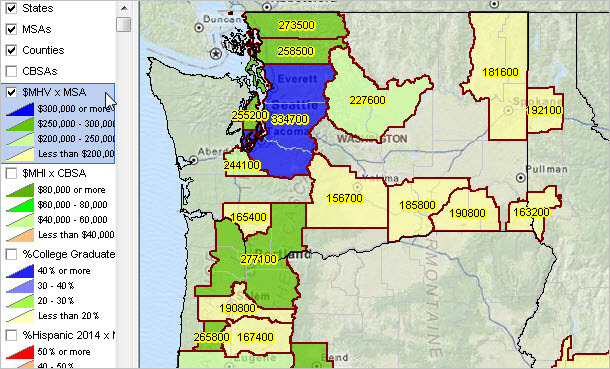 The availability of data tabulated by MSA and MISA (and often less available for all counties or all cities) make MSAs and MISAs popular for the analysis of demographic, economic and business data.